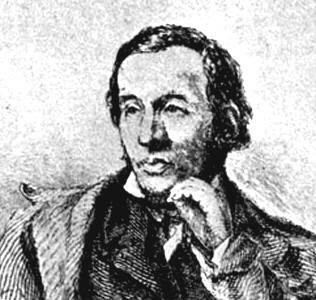 Robert Dale Owen was the eldest son of British social reformer Robert Owen. In 1825, both moved to New Harmony, Indiana, where the son soon became editor of the town's first newspaper, the New Harmony Gazette. Robert Owen had purchased the town in order to establish a community based on his principles of social reform. By 1827, the community had lapsed into individualism, the father had returned to England, and the son had begun working closely with social reformer Frances Wright. Together they traveled to her experimental community at Nashoba, Tennessee, then Europe, and then to New York, where he became editor of the radical freethought newspaper, Free Enquirer. From Leopold's biography of Owen; used by permission of the Harvard University Press and Harvard University Department of History. By 1833, the freethought movement had waned, and R. D. Owen moved back to New Harmony. He served in the Indiana legislature (1836-38) and U. S. House of Representatives (1843-47), where he introduced the bill establishing the Smithsonian Institution. Owen served as chairman of the Smithsonian Building Committee (link below). Later, he held the diplomatic position of charge d'affairs (1853-1858) in Naples, Italy. In the 1850's, R. D. Owen began studying spiritualism, and in 1860, his book Footfalls on the Boundary of Another World aroused something of a literary sensation. Among his hecklers in the Boston Investigator and at home in the New Harmony Advertiser were John and Margaret Chappellsmith, he formerly an artist for David Dale Owen's geological publications, and she a former Owenite lecturer. On September 17, 1862, R. D. Owen wrote a letter to President Abraham Lincoln urging the end American slavery. "It is within your power...," he wrote, "as the instrument of the Almighty, to restore to freedom a race of men." Five days later the Emancipation Proclamation was read to the cabinet. Richard William Leopold, Robert Dale Owen: A Biography, Harvard University Press, 1940; reprinted by Octagon Books, New York, 1969. 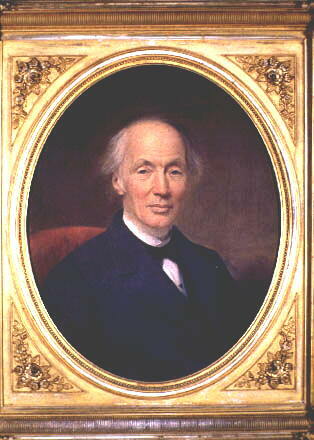 Portrait of Robert Dale Owen in the Old Fauntleroy Home in New Harmony, by permission of the Indiana Department of Natural Resources, copyright © Indiana State Museum and Historic Sites. Threading My Way: Twenty-seven Years of Autobiography, New York, 1874. The Wrong of Slavery, the Right of Emancipation, and the Future of the African Race in the United States, Philadelphia, 1864. Reprinted, Kraus Reprint Co., New York, 1969. Josephine M. Elliott, editor, Robert Dale Owen's Travel Journal, 1827, Indiana Historical Society, Indianapolis, 1977.